← Humankind’s Most Dangerous Moment is Upon Us. Research was done in 2011 based on Tepco’s lie saying it was in cold shutdown and that radioactive water releases had stopped after very little contamination had escaped. We now know that 300 tons of radioactive water have been released into the ocean every single day and releases have only increased. It is much worse than this model can convey. Even nuclear engineers here are unable to access information on Fukushima, what happened, what’s happening now. Energy Secretary is keeping everyone in the dark, using the NRC to prevent anyone finding out what’s going on. They don’t want anyone to know about the core explosion in Unit 4. It was stated the number 4 reactor was “running unloaded”. They want people to believe two incompatible things. 1) That there was no core in Unit 4. 2) The fuel pool exploded, blowing the building to pieces without damaging the fuel rods at all. Lake Barrett has said the fuel rods in the Unit 4 spent fuel pool are undamaged and not distorted. He says the fuel rods can be removed safely because they are fine. Hatrick Penry thinks the fuel pool exploded. If the fuel pool had exploded with enough force to blow up the whole building, the fuel pool would also have been damaged and would not be holding any water. Those upper floor fuel pools are actually “pretty fragile” according to Arnie Gunderson. He has friends at Tepco who have kept him up to speed on the condition of the fuel pool. Everyone seems to be confused, only because they were not paying attention to early references to the reactor 4 core, and they believe the PCV was empty. It wasn’t. Click HERE to read rest of story. Fukushima may be in path of Francisco. Pray the storm turns east. Pumps lack capacity to handle rainwater. Contamination just keeps coming. How accurate are instruments in a nuclear power plant.? Melted Cores Thought to be in contact with Groundwater. Tepco hiding ground collapse, mudslide, subsidence at Fukushima that occurred during Wipha. Road blocked. Workers afraid. Mysterious new source of Pacific contamination. CBS helping in Fukushima cover up. Watch this whole video if possible but pay special attention to the last segment, beginning at 10 minutes 7 seconds. The evil Energy Secretary Ernest Moniz is capable of has no limit. As long as Ernest Moniz is in our government or has influence in our government, no one is safe. 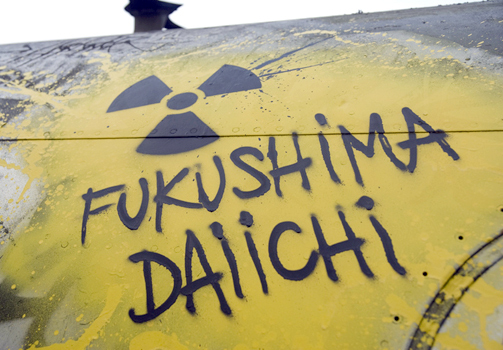 Prosecute Ernest Moniz for covering up Fukushima. Citizens of Japan are so anxious to “support” the disaster victims of the Tsunami, Earthquake, nuclear disaster, they are clearly ignoring the dangers of radiation & radiation in the pacific ocean. Abe wants to “dispel rumors” of radioactive seafood… while it was announced (at least in This clip I included) that the entire Pacific Ocean would be contaminated within 6 years (Posted August 30, 2013, however the study was done before then). CNN’s New Day, Oct. 18, 2013: There’s a Japanese legend that oarfish beach themselves to warn of an impending earthquake. And, in fact, dozens of them did just that in Japan about a year before the devastating Fukushima quake and tsunami in 2011. Alert: Top Japan nuclear official suggests Fukushima reactors “leaking directly into sea”… not mixing with groundwater and getting diluted — Expert: Contamination flowing from plant will be carried away to North America’s west coast. You see the Energy Secretary Ernest Moniz cannot learn from bad experiences. Why? Because energy corporations have paid him many millions of dollars to look after their interests and he does. Moniz must be removed from office and tried for high treason for covering up the Fukushima meltdowns. The ongoing release of radiation from Fukushima consitutes a continuing nuclear attack on the United States of America. Moniz sits on the boards of these energy corporations and is constantly spewing his lies into the ears of our politicians to preserve his money stream. I have NO CONFIDENCE in Ernest Moniz. He will allow himself to be poisoned with the rest of us to squeeze another buck out of obsolete forms of energy. Posted on October 21, 2013, in Uncategorized. Bookmark the permalink. 3 Comments. OMG THIS IS A DEADLY DISASTER AND THE WHOLE WORLD WILL SUFFER!! yes, Tina, it is a massive disaster.